At Erholungsgebiet DoktorSee in Rinteln (Lower Saxony) camping costs as little as €20,- per night during low season with CampingCard ACSI. At one of the 400 touring pitches you will get a discounted rate during the period 01-01-2019 - 12-04-2019, 28-04-2019 - 29-05-2019, 12-06-2019 - 30-06-2019 and 01-09-2019 - 31-12-2019. At this campsite you can not only use your CampingCard ACSI for inexpensive camping, you can also use your ACSI Club ID (as an alternative ID). A large campsite around a lake, intended for longer stays. Plenty of recreational opportunities and wellness, extensive catering facilities. The spacious touring pitches are in several areas spread over the campsite. 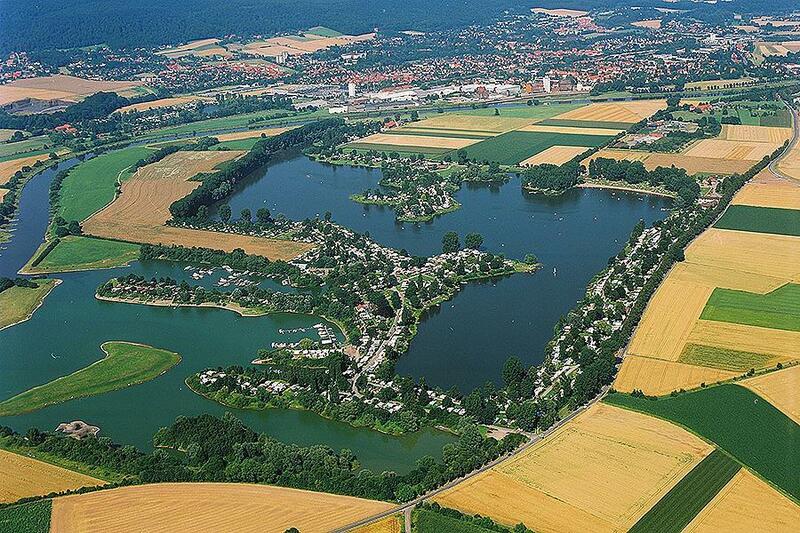 The area invites you to go cycling or visit Hameln, Lemgo, Detmold and Hannover. Would you like to book Erholungsgebiet DoktorSee or request more information? You can do both using the information below or by visiting the campsite's website. A2 Dortmund-Hannover, take exit 35 towards Rinteln, follow B238 around Rinteln. Follow signs to DoktorSee. CampingCard ACSI will send your information request to "Erholungsgebiet DoktorSee".